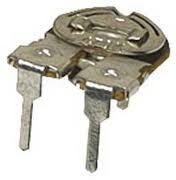 It is a passive component that gives electrical resistance and restricts the flow of current. Current through the resistor is in direct proportion to the voltage across its terminals. Resistors are formed of Carbon, Carbon film, Metal film, Wire wound (Nichrome wire around ceramic) etc. The Resistance of a resistor is measured in terms of Ohm and there will be 1 Ohm to 10 Mega Ohm resistors. Value of resistor is given as coloured stripes on its body which can be identified using the Colour code chart. In 3 colour coded resistors, first two (starting from one end) shows the value and the third one is the multiplier. The last band (Gold, Silver etc) represents its tolerance. 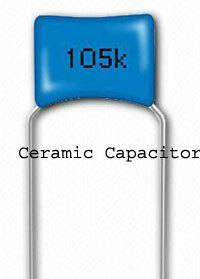 The above figure is that of a 100 Kilo Ohm (100K) resistor. First colour is Brown, Second colour is Black and the Third colour is Yellow. So give the corresponding numbers .Number of Brown is 1, and that of Black is 0. That is 1-0. The Third colour is Yellow and its Multiplier is 10,000. So 1-0 – 0000 Ohms. Covert it into Kilo ohm by removing last three Zeros. So 100 K. Last colour is Gold and its value is 5%. That is, plus or minus 5% variation in its value is common. These kinds of resistors are used to vary the resistance according to the needs. The Variable Resistor (shown as VR in circuits) has three pins. First pin in input, third pin is output and the middle pin is connected to a moving Wiper. So by adjusting the wiper, it is easy to set the resistance. 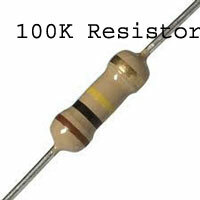 For example, in a 100 K variable resistor, the resistance can be set between 0 K to 100K. It is the kind of variable resistor in which the resistance vary according to the intensity of light falling on it. It is made of a special kind of light sensitive semiconductor. In dark, the LDR offers around 1-10 Mega ohms resistance and in bright light, the resistance reduces to 10K or less. 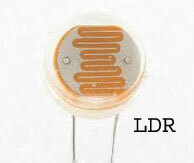 LDR is used in light controlled circuits.LDR has no value and there is only size diffrence from 5 mm to 20 mm. Higher sized LDR has more light gathering ability.LDR is non polarized and can be connected either way round. This type of resistor varies its resistance based on the temperature. There are two types of Thermister. In NTC (Negative Temperature coefficient) Thermister, the resistance decreases when the temperature increases. In PTC (Positive Temperature Coefficient) Thermister, its resistance increases when the temperature increases. Unlike LDR, it has value ranging from 100 Ohms to 10K. Like LDR, Thermister can be connected either way round. 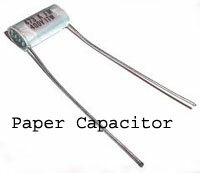 Capacitor has two electrodes inside and between them there is a dielectric material. Capacitors charge when they are connected to power supply and hence used for buffering, as couplers and decouplers etc . Electrolytic capacitors are polarized with positive and negative terminals. Connect only after observing the polarity otherwise electrolytic capacitor will explode. The long pin is positive and there is a white or black band on the body. The pin close to this band is the negative terminal. Disc capacitors are non polarized and can be connected either way round. 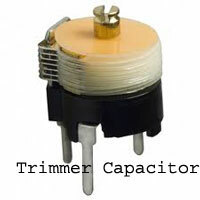 Tantalum capacitors are more accurate than any other capacitors. 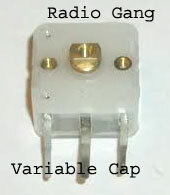 Variable capacitors are also used in circuits like radio circuits, to vary the capacitance. 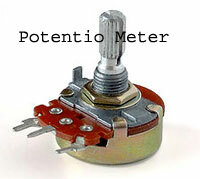 By adjusting the Knob, the capacitance can be varied. 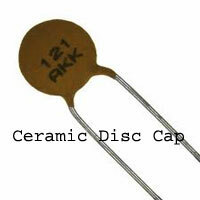 Value of Disc capacitor is shown in PF, uF, n, KPF etc. Diodes are semiconductor devices allowing only one way flow of current from Anode to Cathode. If it is connected in reverse direction, it will not conduct. 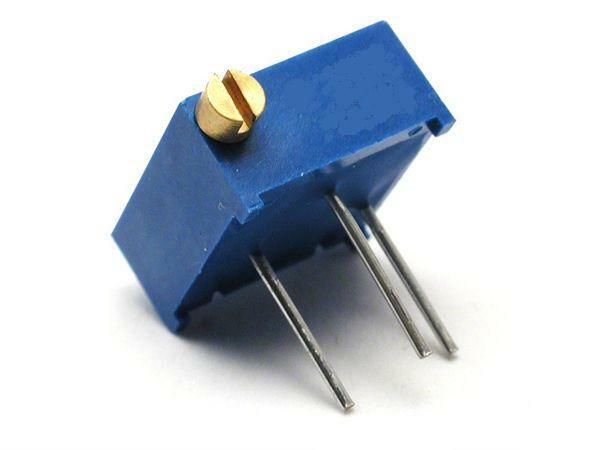 Diodes are used as Rectifiers in power supply, signal detectors etc. Diodes conduct only when the voltage is above 0.6 volts. It is easy to identify the Anode and Cathode terminals of a diode. There is a black or white ring at one end and that side is Cathode. Zener diodes are used for voltage regulation. According to its value, a regulated voltage will appear. Unlike ordinary diodes, Zener diode is connected in the reverse direction (Reverse biased) with Cathode to the positive line. When the voltage rises to its rated value, say 12 volt for 12 V Zener, the Zener breakdown and 12 volt will be provided, irrespective of the further increase in voltage. Zener always requires a current limiting resistor to reduce its current.